Background/Purpose: The 2015 ACR/ARHP Workforce Study provides a projection of the supply and demand for rheumatology care 2015-2030. GME plays a critical role, through training, to provide the flow of new rheumatologists into our field and is thus essential for addressing the gap of excess demand for adult rheumatology services. Methods: ACR member data, state licensure registries, ABIM certificates, AAMC, ACGME, and National Resident Matching Program data, and an online survey of ACR members, were used to provide practitioner demographics, work settings, full/part-time status, retirement planning and numbers of fellows in training (FIT). Projections were made of the future supply of adult rheumatologists based on the current workforce, fellowship graduation rates, succession planning, workload, practice settings and generational changes. Factors used in demand projections included patient demographics, healthcare usage, practice trends, disease prevalence, U.S. population growth, and per capita income. We assumed one clinical practice full time equivalent (FTE) to be 1.0 FTE for private practitioners and 0.5 FTE for academic practitioners. Results: The current supply of rheumatologists is 4,497 FTE but by 2030 is projected to fall by 31% to 3,455. The current demand for rheumatologists is 5615 FTE, 1,118 (36%) more than the supply. By 2030, excess demand will be 4,729 (138%) more than supply. There are 113 adult rheumatology programs with 431 available positions. If all positions fill, 215 fellows are expected to graduate each year (42 more fellows/year than the 2005 workforce study). Assuming a 100% position fill rate/year and no changes in the number of fellow positions offered, the average number of Clinical FTE of adult fellows projected to enter the workforce yearly is less than 215, at 107, based on the projected number of female millennials who plan to work part-time and the almost 20% of international medical graduates (IMG) who plan to practice outside the U.S. Adding to the workforce deficit, about 50% of the rheumatology workforce is projected to retire over the next 15 years with over 80% of those retiring planning to reduce their patient load by > 25% in the near term (Figure 1). Conclusion: The current U.S. adult rheumatology workforce is in jeopardy of an accelerated decline due to decreased productivity and accelerated attrition. While it remains critical to recruit medical students and residents to pursue training in rheumatology, this will not provide ample numbers of rheumatologists to meet the deficit in supply. Efforts to close this gap are essential and should include incentives for pursuing rheumatology training such as loan repayment, innovative mechanisms for GME funding, enhanced use of nurse practitioners and physician assistants in clinical practice, and novel strategies to improve patient access to care. Disclosure: M. Bolster, Johnson and Johnson, 1,Eli Lilly and Company, 2,RRF Amgen Fellowship Award, 9; A. R. Bass, None; J. S. Hausmann, None; M. Ditmyer, None; S. Monrad, None; D. Battafarano, None. Bolster M, Bass AR, Hausmann JS, Ditmyer M, Monrad S, Battafarano D. 2015 ACR/ARHP Workforce Study in the U.S.: The Role of Graduate Medical Education (GME) in Adult Rheumatology [abstract]. Arthritis Rheumatol. 2016; 68 (suppl 10). 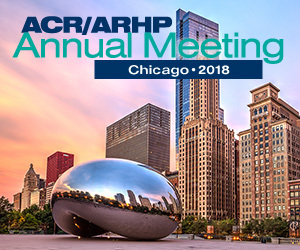 https://acrabstracts.org/abstract/2015-acrarhp-workforce-study-in-the-u-s-the-role-of-graduate-medical-education-gme-in-adult-rheumatology/. Accessed April 18, 2019.